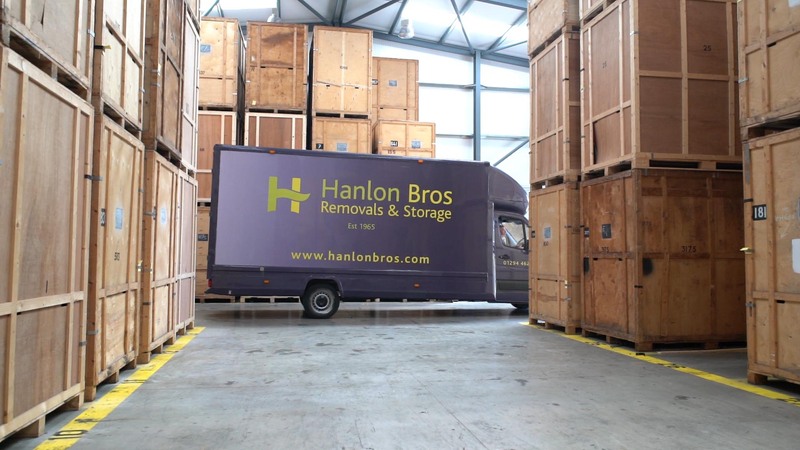 At Hanlon Bros Removals and Storage we offer our customers storage that they can rely on. Located in Ayrshire, our purpose built, fully insured warehouse is the perfect place to store your belongings, whether you just need to store items for a short period, or are in need of longer term storage. Our Storage facility in Ayrshire is available to both commercial and domestic customers. We can provide different packages to cater for different needs - just get in touch to discuss your requirements. Whether its a temporary or long-term storage service you require, it should always be secure. At Hanlon Bros Removals and Storage we understand this and work hard to deliver consistently high standards of both storage and security. We have containerised, storage and archive units ensuring we can meet whatever your storage service requirements are. Each unit is adequately ventilated to ensure that the items within are protected against mould and other damages. We understand that flexibility is essential when it comes to providing the best storage service. As a result, we adapt to suit any need. We can cater for individual items and full households, arrange to store items for a single month or several years and organise access to units when needed. At Hanlon Brothers Removals and Storage we have been providing storage solutions to Ayr, Kilmarnock, Saltcoats and the surrounding area of Ayrshire for a number of years. We're ready to take your call today to organise your house removal or speak with you about storage solution options. We serve Ayrshire daily, including removals to and from Arran, and regularly undertake removals throughout the UK. We always put our customers first. Hear what our clients have to say about us.